Leading the group will be four co-chairs: Janice Jackson, CEO of Chicago Public Schools; Kathi Griffin, president of the state's largest teachers union; State Rep. Chris Welch, who will focus on colleges and universities, and State Sen. Andy Manar, the legislator who authored and pushed through a complete overhaul of the state's school funding formula. The team is heavy with union members, but doesn’t have anyone specifically representing school boards. These teams serve a purely advisory, unpaid role, although history has shown many transition advisors go on to serve cabinet positions. When Bruce Rauner was elected governor, his six-person education transition team included Tony Smith (then a foundation director), Beth Purvis (then CEO of Chicago International Charter Schools), Al Bowman (then the president emeritus of Illinois State University), and Lazaro Lopez (then an associate superintendent at High School District 214). 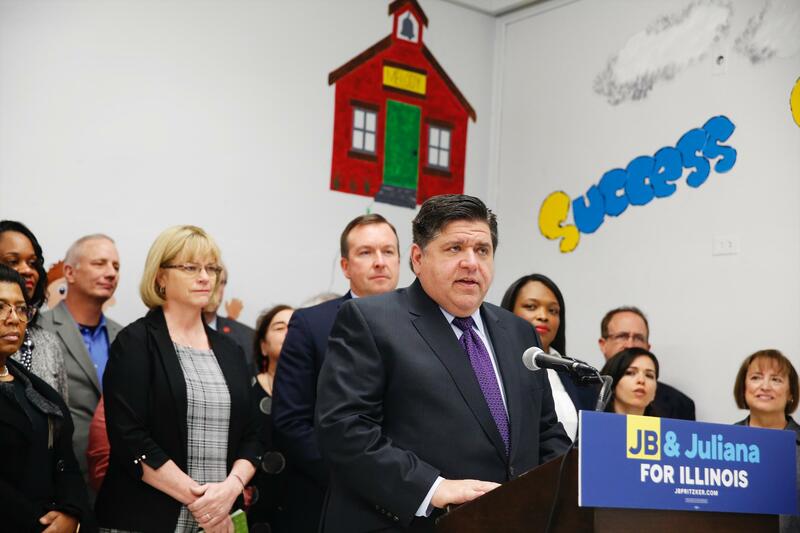 After Rauner was sworn in, Smith became state superintendent of schools; Purvis became Rauner’s Secretary of Education; Bowman became executive director of the Illinois Board of Higher Education; and Lopez became chair of the Illinois Community College Board. Purvis has since left the state to work for the Kern Family Foundation, a Wisconsin-based philanthropy that has supported Gov. Scott Walker and legislative candidates who back school vouchers. State Sen. Andy Manar shepherds historic school funding reform through the legislature after years of failed attempts.